Weavess is an official artwork for the world of The Witcher and the Witcher card game GWENT, video games created by CD PROJEKT RED. 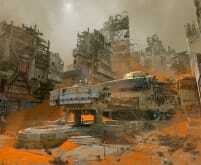 The artist that made this image is Adrian Smith. This limited edition Certified Art Giclee™ print is part of the official The Witcher fine art collection by Cook & Becker and CD PROJEKT RED. The print is hand-numbered and comes with a Certificate of Authenticity signed by CD PROJEKT RED's art director Katarzyna Redesiuk. Weavess is one of the Crones in The Witcher 3: Wild Hunt. The Crones – a sort of witches – are three monstrous sisters that keep children imprisoned in Crookback Bog and eat people. 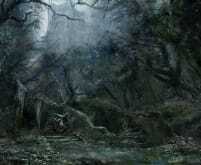 They play a large, magical part in the Velen region and also keep contact with The Wild Hunt. Through the cut-off ears of the inhabitants of Velen they know everything that happens. 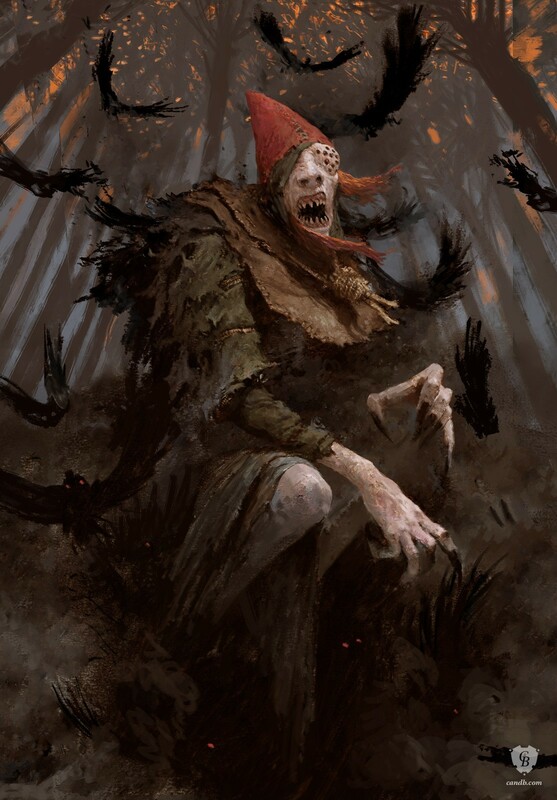 Visually the Crones are delightfully gruesomely designed. The figures bring to mind the Slavic folk tale of Babu Jaga and the Norns from Norse mythology.